"My fiancé and I consider the photographer as one of the most important and successful decisions we made during our wedding planning process. I am one of those people that enjoy making lists and so I wrote down the names of over twenty-five photographers in the Austin area. I then looked at each person’s albums and website. I wanted a professional who could capture color, the personality of my fiancé and I and provide a product that I could afford. After taking notes on all of the photographers, I narrowed my list down to five people. I then called each of them and did a quick phone interview to see how well we would be able to communicate with each other. Some people look good on paper but have personalities that are hard to work with. Out of ALL of the people I interviewed, John was my favorite so I hired him. After working with John, this is what I have learned: He is not only very talented but also really passionate about his work. He always returns my calls and was on time for all of our meetings. He provided us with an epic amount of photos of our wedding day. My family and friends are still commenting on how hard John and Amy worked and how beautiful the photos were. If you want to be confident that your photographer will do an awesome job and want to cross one of the MANY things off your list of things to do… hire John. His pictures are wonderful." "Before I got married, I polled my married friends about what they'd do differently if they were planning a wedding again. The most popular answers were (1) don't stress over all the silly details and (2) get a better photographer. So I was all worried about finding a great photographer, but then I was referred to Songbird Weddings...and almost a year later, I still love my wedding photos. If you want beautiful pictures taken by people who are easy, fair, talented, attentive, and all-around great to work with, this is your photographer. Songbird's portfolio speaks for itself, but it doesn't show you just how pleasant these folks are to work with. Seriously, give John a call or add him to your list of possible photographers (however you're planning this). I had a bazillion things to worry about when planning my wedding; John made sure the photos were excellent while still letting everyone have fun and relax and enjoy the celebration. He caused me literally no stress, which is priceless. I don't think I could have made a better choice." "My best friend and maid of honor is a professional photographer. One of her jobs was to find my wedding photographer. After much research she recommended Songbird Weddings. We live out of town, so everything before the big day was done through email and phone conversations. John was extremely prompt and accommodating with our situation. We got married at Thurman's Mansion in Driftwood, and were looking to really incorporate the rustic aspect to the atmosphere. We also wanted a more photojournalistic approach to our pictures. He really took notes as to our vision. On the day, John and Amy were so easy to work with, and so much fun. Even though the turnaround time for pictures was over Christmas and New Year, John was extremely prompt with delivering the pictures. All of the pictures are so amazing; so many specific moments and details were captured. Every time I look at them I cry because there is so much emotion captured in so many of them. 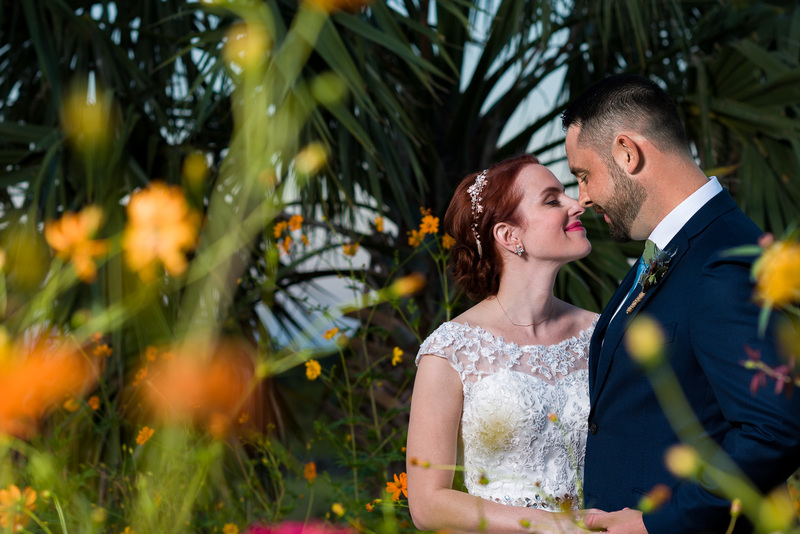 The pictures truly reflect the vision I had for the wedding (especially with the pictures outside- the sky and backgrounds are so prominent, so gorgeous!)." "After looking through John's portfolio, we knew he was the photographer we wanted to work with. His photojournalist style did an amazing job of capturing the bright colors and the mood of the event. We also had a lot of fun working with them on our engagement photos and wedding photos. John had a lot of great ideas for poses, that felt natural and captured our personalities. I couldn't be more happy with our decision to work with Songbird Weddings Photography...and every time I look through our photos, I am instantly transported back to that day." "John and Amy were absolutely fabulous! They truly listened and captured all the important moments as well as some amazing candids. I was really focused on having the unexpected captured not just the standards. They were very flexible and calm and always did a great job of communicating! I also felt their rates were more than reasonable, especially for all the photos we received! I felt completely at ease with both of them which was extremely important because my husband and I aren't huge fans of having our photos taken! My husband and I were thrilled with the quality of the photos as well as the warmth and professionalism with which John and Amy approached our engagement photo shoot and our wedding. We were truly blessed to have a team so talented and dedicated. I will treasure our photos and only wish we could do it every year!" "John was the perfect choice. The photos were amazing and abundant - every moment captured beautifully! And beyond his talent and professionalism, he was a joy to interact with (he taught my sister-in-laws how to pose). I would recommend John a million times over." "Our wedding was really centered around one big dance party and I don't think anyone could have captured that quite like John. He got amazing in-the-moment shots of us, our friends, and family having a blast. This was so much more important to me than some stiff, posed portraits that don't have any REAL emotion behind them. I love looking at all of our wedding photos because not only is the composition, lighting, etc. beautiful...but they are so real, I can relive that night over and over again!"